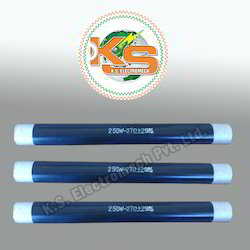 Pioneers in the industry, we offer carbon resistor, digital dc motors drives and steel tube mill equipment from India. We are offering to our valued customers a superb quality range of High Power Carbon Resistance. 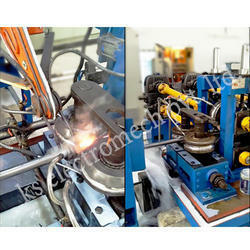 High Power Carbon Resistance is fabricated using the best quality factor inputs. These High Power Carbon Resistance are appreciated in the worldwide market. These High Power Carbon Resistance are offered at the market leading prices. 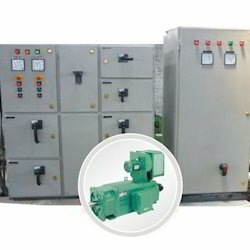 We are supplies of high quality Digital DC Motors Drives used in different industries on different applications as per customers requirements. The panels are designed on digital as well as analog design can be interfaced with PLC & digital display system as required. The panels are steel fabricated using high quality cold rolled sheet of highly smooth finish duly powder coated, dust &fume protected. We are availing our clients a quality - assured range of Steel Tube Mill Equipment that are manufactured using high quality steel procured from the reliable vendors of the market. In order to gain the accuracy of the components, we make sure the raw material used in the manufacturing of these products should be of weld - able grade hot rolled, cold rolled steel stripes and stainless steel strips. Owing to their excellent performance, robust construction and longer service life, these products are highly appreciated by the customers.